Frederic Leighton was a British painter and sculptor, the leading exponent of the sentimental classicism and idealism of the late Victorian era, in opposition to the Pre-Raphaelites. 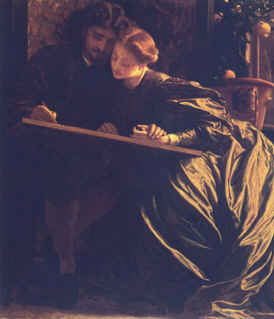 Frederic Leighton was brought up and studied on the Continent but settled in London in 1860. Frederic Leighton became president of the R.A. (1878), and was the 1st painter to receive a peerage (1896). His house, Leighton House, at Holland Park, London, is now a museum.